The church is possibly C13 in origin. It was recorded in 1331 as the chapel of the sons of Ithel ap Rahel. According to other sources, it was built ca1380. In 1499 David Morris became the Rector. Philip Vaughan replaced him on 16th January 1522. On 10th September 1525 Philip Vaughan was removed from his post. 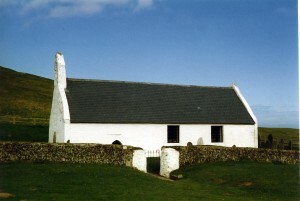 In 1546 the priest of Mwnt and Llechryd received 100s. annually. The churches between them had 200 communicants and an annual income of £6 – the King’s Tenths amounting to 10s. In 1548 Arthur or John Dudley, an aged priest, was the incumbent of Mwnt and Llechryd. On 16th December 1551 the chapels of Mwnt and Llechryd were leased, with their tithes, to George Gulding for 100s. per annum, for a term of 21 years. Earlier Thomas Sidbothame had held them. 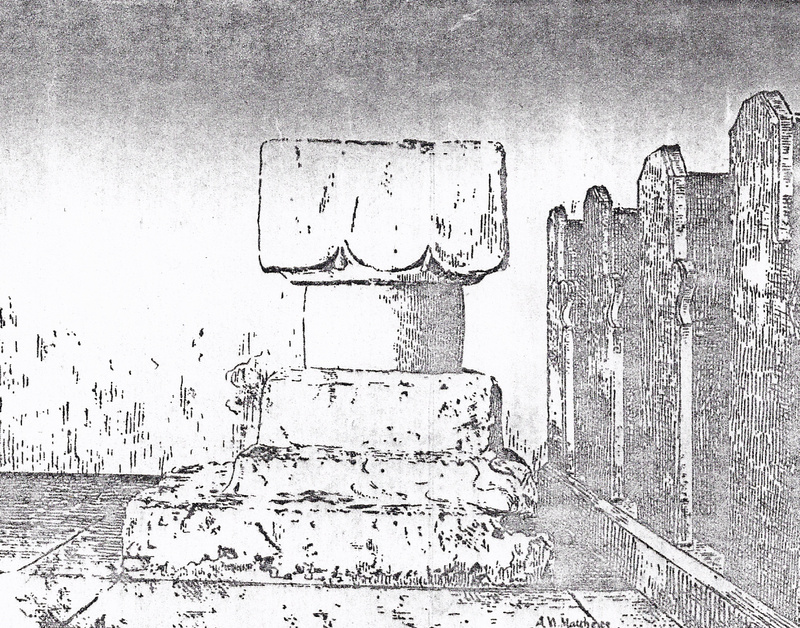 On 27th November 1567 Robert Byrte leased the “…Free Chapel of Mounte and Llecheryd…” for 100s. In 1635 John Vaughan may have been the Vicar. In 1755 Rev. Thomas Watts became the Vicar. In 1765 Rev. John Davies became the Vicar. In 1771 the church owned property in Ferwig parish called “Llacca-yr-Wydd” and “Llain Heol y Cwn”. In 1778 Rev. John Jones became the Vicar. In 1793 Rev. Morgan Jones became the Vicar. In 1797 Rev. William Jones became the Vicar. In 1806 Rev. William Davies became the Vicar. 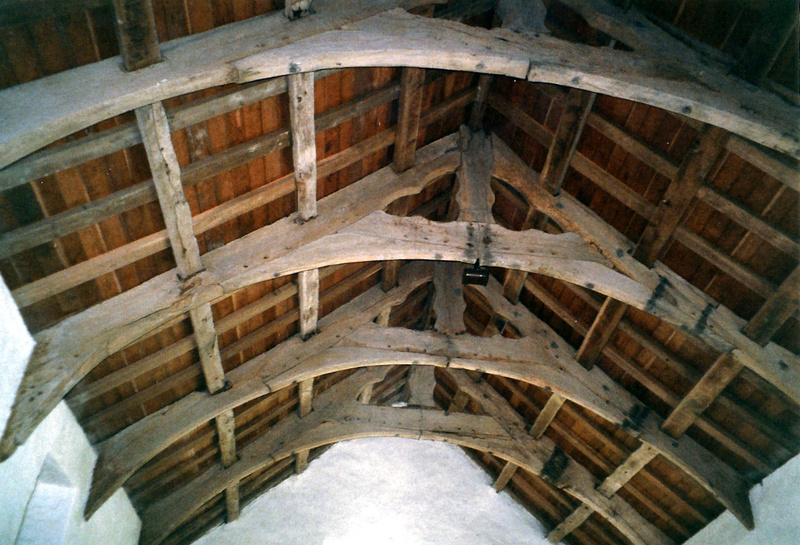 About 1815 the nave roof was raised by Mr. Williams of Ffynnongrog, the churchwarden. On 4th May 1827 Rees Lewis, the “…churchwarden of the poor…” was referred to. In 1827, £5 was paid for an “Iron Chest”, and William Thomas, mason, was paid 4s.4d. for whitewashing the church. The Bishop of St. David’s visited on 29th July 1828. In 1832 David Griffiths was the churchwarden. In 1833 Rev. David Thomas became the Curate. In 1840 Rev. David Thomas became the Vicar, albeit briefly. In 1841 Rev. Thomas Rees became the Vicar. In 1846 he leased Pritchardfach (now Brynymor) near Cardigan. He was still there in 1851. The congregation numbered less than 20 in 1851. In 1853 new seats were added during repairs, as were a new 2-decker pulpit, sounding-board and prayer desk. The work also involved raising the nave to create a chancel division, and lowering the floor by about a foot, which led to the discovery of a grave. On 16th August 1859 the Cambrian Archaeological Association visited. The main source of interest was a fine Early Perpendicular roof. Soon afterwards, a ‘Parson’s Door’ to the south was closed up by David Evans, Tynewydd. In 1864 Rev. Rees Williams became the Vicar until 1874. In 1875 Rev. Daniel Harries Davies replaced Rev. Rees Williams as Vicar. He was also the headmaster of Cardigan Collegiate School. About the year 1893 David Griffith Davies of Castle Green (Cardigan Castle), presented a table to the church. In 1899 reference was made to the fine, early perpendicular roof, oblong 13th Century font and two-tier pulpit. “...the ancient church of the Holy Cross, the oldest in the county, dating back to the fourteenth century without any change whatever, excepting the two windows on the southern side replacing the northern stormy ones walled-up, and the whitewashed slates of the roof. The east window of the old church and seven massive oak beams or principals remain in their original form and position, though traces of an earlier window remain. All the beams are secured by wooden pins no iron nail is to be seen. The laths used on the roof are seen from within and were evidently procured from the most handy sources, rather than made specially for their present purpose. Small as the church is, the large pulpit is overhung by a massive sounding board. 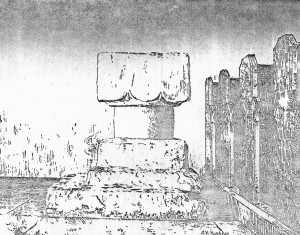 The font, which dates from the thirteenth century, is an oblong basin, quite plain but for three curves on each lower edge; it is supported upon a round pillar and mounted upon three steps of very uneven shape; the whole is, like the exterior walls and roof of the building, covered with whitewash. To the Rev. D. H. Davies, vicar, whose keen antiquarian interest has unearthed the facts, we are indebted for particulars of the ancient history of Mount. "...The said Sir Monoux Cope and the said John Mordannt Cope his son... their heirs and assigns...shall and will from henceforth from time to time...well and truly pay or cause to be paid unto the...curate of the said curacy of Mount the yearly stipend or sum of four pounds of Lawfull money of Great Britain by two half-yearly payments to be made...by even and equal portions on the two severall ffeast days of the Annunciation of the Blessed Virgin Mary and Saint Michael the ArchAngel in each year at or in the porch or door place of the Church or Chapel of Mount aforesaid between the hours of Nine and Eleven of the Clock in the forenoon of each and every the several and respective days or times on which the same ought to be paid as aforesaid etc. etc..."
On 12th April 1912 Rev. Daniel Harries Davies resigned as Vicar. He was succeeded on 24th May 1912 by Rev. John Jones (b.1865). A photograph from about that time held at the church, shows a raised nave roof and two Georgian Gothic windows on the S side which seem to be in different positions to the current windows. The original windows here were mullioned. On 27th December 1915 a tremendous gale blew the roof off the church. On 14th April 1916 tenders were sought for conducting repairs to plans by G. T. Bassett. By 24th November 1916 an inter-mural rood stair, a blocked lancet window, a blocked doorway and fragments of a rood screen beam had all come to light during the renovations here. G. T. Bassett of Aberystwyth conducted the restoration. On 18th September 1917 Rev. John Jones, the Vicar, married Miss Evelyn Morgan-Richardson of Rhosygilwen, Cilgerran. On 18th September 1918 the church re-opened after a major refit by John Evans, Bryntivy, Cardigan to designs by the architect G. T. Bassett. The work included a new roof covering, block flooring laid over cement, re-opening of two blocked windows with timber lintels, and certain new pews installed. Rev. John Jones retired on 6th February 1942 and died on July 4th 1942. On 9th December 1943 Rev. T. J. Thomas, Curate-in-Charge, married Miss Mary Harper. In January 1945 Rev. T. J. Thomas was the Curate-in-Charge. On 28th September 1945 Rev. D. Thomas Richard was appointed Curate. In March 1948 Rev. D. T. Price was the curate-in-charge. On 22nd August 1952 a new door was dedicated by the Bishop at the church, which was restored that year by A. D. R. Caroe. The roof was lowered again, probably during this restoration. Reference was made that year to the Curate-in-Charge – Rev. D. Thomas Richard, and to the previous Vicar – Rev. D. Thomas. On 2nd August 1953 the Bishop dedicated a new altar rail. On 5th September 1954 the Bishop dedicated a new stone altar. On 21st August 1955 the Bishop dedicated a new stone credence table. In April 1957 Rev. J. E. Jones became the new Vicar. The church became a Grade I listed building in 1964. In February 1974 Rev. Alfred Joseph Davies became the Vicar. By June 19th 1996 the roof covering was being replaced. On 19th September 1996 Canon William Richards, the vicar, launched an appeal for £25,000 to restore the church. By 2nd July 1997 restoration work had been completed. Rev Canon William Richards left at the end of 2001. He was succeeded by Rev. John Powell who was Vicar here in 2002-12. “…EXTERIOR – Single chamber C13 church with W bellcote. Battered whitewashed rubble stone walls with slate roof and coped gables. N side one nave leaded casement window pair and projection for rood stair. One similar chancel window with timber lintels on both. E end flat headed two light cusped window in eroded sandstone. S side larger leaded casement pairs, one in chancel and one in nave. Chancel window in blocked opening (formerly door). Low pointed arch doorway with rough stone dripstone above and C20 ledged door.